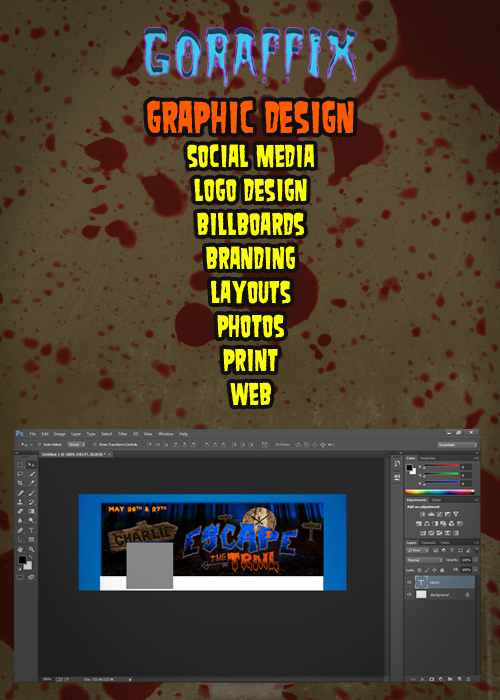 Nightmare Academy is a full service Website, Graphic and Print Design Studio for Haunted Attractions and Escape Rooms specializing in internet marketing services. 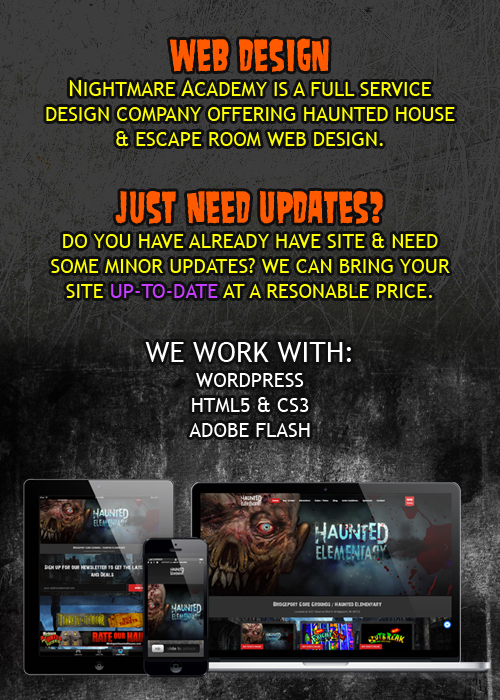 Whether you have an existing website or just starting out, Nightmare Academy's experienced team of web designers and internet marketing experts are here to help. Let's #DesignYourNightmare together! We offer Responsive WordPress Website Design that will fit all devices, sizes and screens with integrated Social Media & Online Ticket widgets. 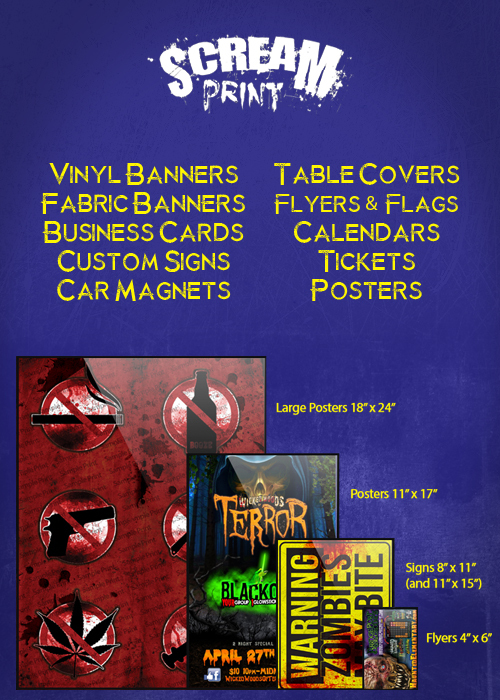 ScreamPrint specializes in quality printing and promo items like Flyers, Posters, Perforated & Numbered Tickets, Large Vinyl Banners and more. Goraffix offers Professional Branding that includes Logos, Brand-Identity & Advertising for Web, Billboards, Layouts & Print.